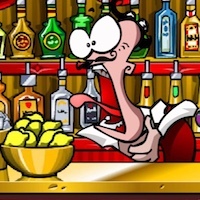 BARTENDER: THE RIGHT MIX | Free Mobile Games on Funky Potato! You are a professional bartender who creates and mixes drinks. Each new drink is tested and the better it is, the more points you get!